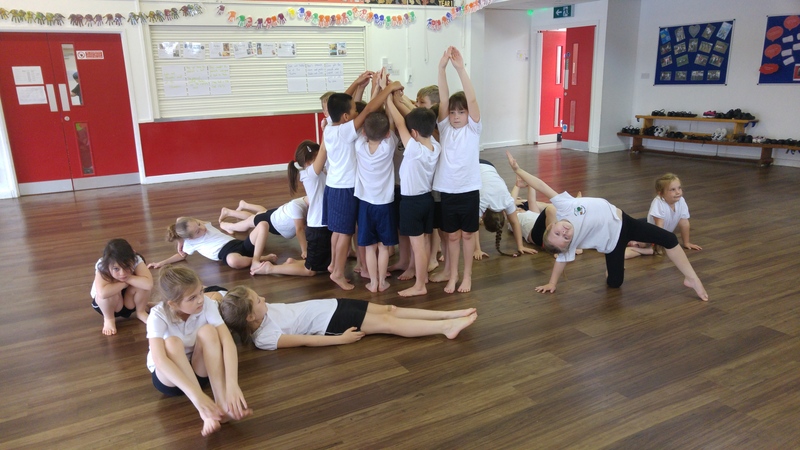 This term Miers Court Primary welcomed back the school year with a Gods and Goddesses theme. Georgie and I had the pleasure of teaching Year 3 and we’ve really enjoyed ourselves. This was their third show so they knew what was expected and they totally stepped up to the mark. The six weeks have flown by, but we’ve gotten so much done! 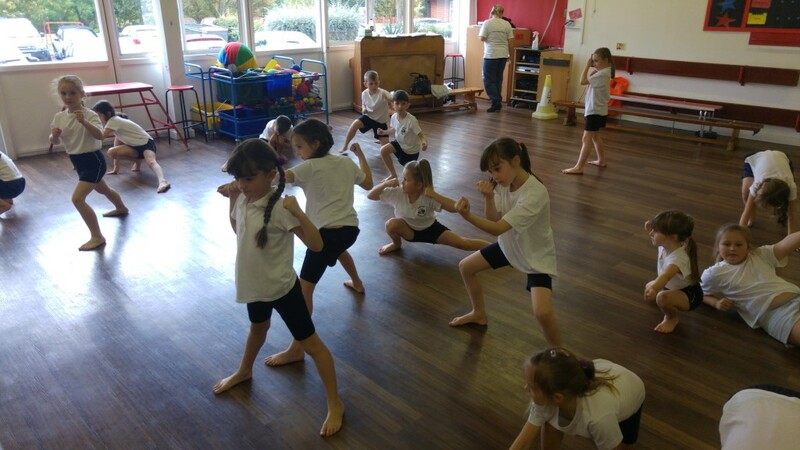 The first thing the classes learnt was their warm up. I taught them a warm up dance to Zero to Hero and we had a lot of laughs being strong and powerful. We talked about the differences between a hero and a God and then moved onto our God Motifs. Each group had a different God or Goddess to teach the rest of the class about. 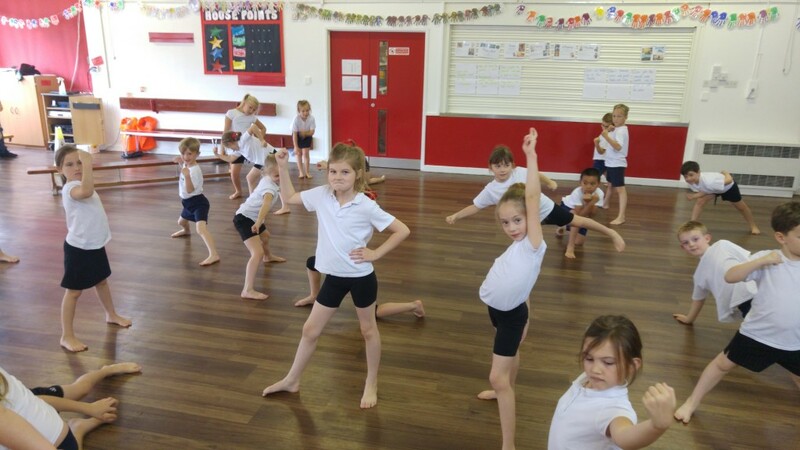 They had to use the facts to choreograph movements and, once finished, they showed their motifs to the rest of the class and told them about their God or Goddess. Everyone worked really hard and there were some fantastic ideas. Favorites included Poseidon’s dolphins and the lightening of Zeus. me in, shoes and socks off, then into place. They somehow managed it every time! The final three sessions before the show were devoted to myths. The whole class wrote a myth all together. There were pot luck cards to choose from so that each class had a setting, two characters and something extra. It turned out they both had Hera’s peacock as the something extra and for some reason both peacocks were quite mischievous! Other than that, both Myth Motifs were very different. We spent one lesson rehearsing and bringing all the motifs together to form a long dance. It was a huge amount to remember, but both classes rose to the challenge and, as the audience saw in the final lesson, they did really well. Not only did they remember the dance, but they remembered to use different facial expressions to show when they were being the strong hero, Hercules, and made energy flow throughout their bodies, even to the tips of their fingers. I’ve really enjoyed working with these dancers again. I see an improvement every year they come back and it is great fun. Here’s the auto awesome video, an automatically created video of photos and video footage from one of the rehearsals. « Balfour Infants – SUMMER SHOW!